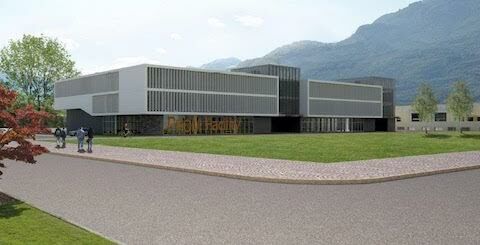 The result of collaboration between Trentino Sviluppo, Fondazione Bruno Kessler and the University of Trento, provides businesses in the mechatronics industry an integrated platform for the design, development, implementation, verification and validation of systems and manufacturing processes. The ProM (Prototyping Mechatronics) Facility laboratories are available also for the specialized training of students of technical and professional schools, for degree and doctoral dissertations, and for technical staff training for companies in the mechanical and mechatronic sector. The new complex is about 6.000 sq.m. large: 1.500 sq.m. are dedicated to the ProM Facility. This lab will be fully operational by June 2017 and can count on machinery, facilities and equipment for a worth of 5 million euro. Among the flagships of the Facility, there is an integrated machine tool which works simultaneously as a working center for the numerical control milling on five axes and as an additive manufacturing system, built by a major corporation and the first one to be delivered in Italy. We can count also on a machine for combined laser cutting of tubes and sheets of different materials. It is 18 meters long, costs around 1 million euro and was built in the Adige-BLM Group plant of Levico Terme. The company made it available for free within its partnership with Polo Meccatronica. In the Facility there are also two 3D-printers for the realisation of components through selective sintering or mergering of metal an polymeric powders by laser beam, a 3D-scanner, an electro-lathe with numerical control programming and many other specialized facilities. The memorandum of understanding concerning the shared management of the ProM Facility was signed on the 3rd of April of 2017 by Trentino Sviluppo, the Autonomous Province of Trento, Bruno Kessler Foundation, the University of Trento and the Industrial Association of Trento.